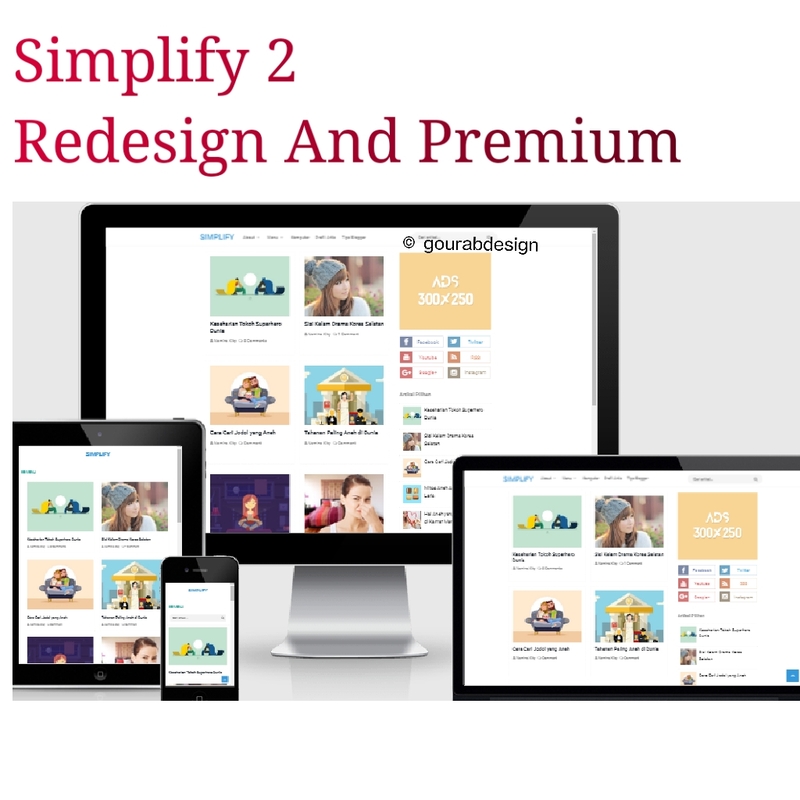 Simplify 2 Redesign Premium Blogger Template is the result of my redesign from this theme . I slightly change the top navigation colors, links, footers, and search boxes. For the features is still the same as the original.And also this is SEO friendly responsive blogspot theme. You have got bored with a simple 2 ??. now you can get a simplify 2 with a very good repetition and you can be more fresh than the last one. Design on the homepage that looks so easy and has some great social media icons in it. Without further, you can get for free through the link given below. Forget the link bug, or comment for some other reason. Simplify 2 Redesign - On this occasion I will share a very cool and have familyar among that is. It was designed by Gourab which then I Redesign. I am Redesign from the post version, originally themed list but I design with grid version. And not only that, I also change the color version from blue and I change to red. You download this theme for free . But please guys don't forget to share my blog url to all social site....You Support me. You really like the mix of white colors, so I share made this . symbolizes cleanliness and dignity. Hopefully my friend can love the results of my this amazing Design. If you want to redesign?. So please contact me from my contact us page. The model is widely used by all users. Simplify 2 The Namina redesign theme is small, with the original version of Arlina Design (IdnTheme), with a reshaping plan, with a redesign style and simplified features.